You might come across some impressive movies and you just can’t wait to share with others the classic and wonderful scenes that touch your heart. You can get some handy video editing tools, select the particular sections, then convert them to preferred formats, burn them into CD and share with others. Instead of sourcing around for various tools to get the work done, Wondershare’s DVD Converter Ultimate is an excellent investment for movie lovers who need an all-in-one and easy-to-use productive DVD video application to rip and convert DVD to video and convert video to a wide range of popular video formats supported by a portable media player or mobile; as well as burning video to DVD. Thanks to Wondershare for providing a license key to review the Wondershare DVD Converter Ultimate (also known as Wondershare DVD Converter Studio), we managed to play with the software for a while. Wondershare DVD Converter Ultimate features a simple and straightforward interface with all editing tools displayed together with a video preview screen located at the right section. Users can add any video or load DVD and edit accordingly. The application allows users to utilise various editing features such as cloning a file, clipping one file into multiple segments, trimming a movie, cropping video, merging multiple files into one, adjusting video effects such as brightness, contrast and saturation, editing image watermark, capturing images from video files, and so on. Wondershare DVD Converter Ultimate supports conversion to a multitude of video and audio formats for playing on popular portable media players such as iPod, iPhone, Pocket PC, 3GP mobile phone, Creative Zen, Archos, PSP, etc. 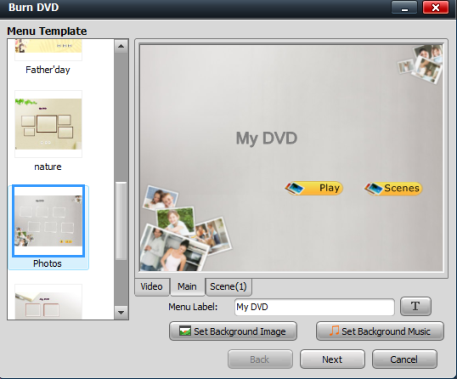 Once users are satisfied with the editing and conversion, users can make use of the burning feature to create a DVD disc. The application comes with various menu templates that facilitate users to beautify the disc design. Users can import background images and set the background music accordingly. The latest Wondershare DVD Converter Ultimate supports the Multi-Core computer processor, iPod Nano 5G, iPod Touch 3G and iPhone OS 3.1. It is also compatible with Windows 7. For a mere $49.95 (at discounted rate from normal price of $69.95 (aff)), movie enthusiasts can use this powerful application to extract a movie or even make their own video and DVD to share memorable moments with friends and others. It’s also possible to download the Wondershare DVD Converter Ultimate trial version (aff) to try out the program.